ORIGIN OF COCA: Coca (Erythroxylum coca spp.) Is a plant native to South America, considered sacred in the Inca ceremonies. The name coca is derived from the Aymara “Kkoka” which means divine plant. The main production areas in Peru are historically located in the valleys of La Convención and Lares of the Department of Cusco, in the valley of the Apurímac River, between the departments of Cusco and Ayacucho, Inambari – Tambopata of the Department of Puno and the zones of Tingo María and Uchiza in the upper basin of the Huallaga River in the Departments of Huánuco and San Martín. COMPOSITION: Coca contains primary metabolites such as proteins, carbohydrates and lipids; and secondary metabolites such as alkaloids, tannins, glycosides and essential oil. The main components are alkaloids, especially cocaine, which according to scientific sources contains an amount ranging from 0.4% to 1.1% of cocaine. TRADITIONAL USE: The traditional use of coca is ancestral, dating from 3000 a.C. It is used as part of several religious Andean rites in our country. Currently, the traditional use of the product has been declared Cultural Heritage of the Nation by the INC in 2005. Traditional Peruvian medicine makes mention of its properties, being used to improve physical and mental resistance, as a stimulant and reliever of the feeling of hunger, in addition to being frequently used for stomach problems. 1) Prevents altitude sickness or Soroche: The consumption of coca has a stimulating effect on the respiratory centers that respond in greater proportion to the stimuli hyperoxia and hypoxia, causes oxygen to be absorbed by the bloodstream more easily. This helps farmers high up in the Andes to overcome altitude sickness, which is caused by the low oxygen content of the air at very high altitudes. It is assumed that this effect has a direct relationship with the activity of catecholamines, on which there is a known action of alkaloids contained in coca leaves. 2) Improvement of the digestive system: Coca contains three types of known fibers, such as cellulose, hemicellulose and lignin; these components together contribute to accelerate intestinal transit, also strengthen the intestinal flora, and prevents the release of free radicals by its antioxidant power. 3) Anesthetic action: Due to the alkaloid cocaine content, it presents an anesthetic action in the peripheral nervous system, and stimulant on the central nervous system. Therefore, many consume it to relieve minor pain, such as headaches, or back pain. Arthritis sufferers relieve most symptoms after chewing coca leaves. 4) Diabetes Control: Coca reduces postprandial glycemia, which is the measure of the impact that a particular food has on blood sugar, coca acts in the stabilization of blood glucose levels among populations that depend heavily on carbohydrates, according to scientific studies is due to the alkaloid of ecgonine. 6) Prevention of Osteoporosis: Coca with high content of calcium, fiber and polyphenols, contribute to the potential benefits in bone metabolism through different mechanisms of bone formation, bone resorption, serum calcium, vitamin D, intestinal absorption or mediators of inflammation, involving an increase in bone density. We have not found any contraindication, however, it should be consumed in a rational way as recommended. When you start consuming, start with a serving of a quarter of a tablespoon of powdered cocaine, and then increase the dose. There have been no studies in pregnant women, consult a specialist doctor.People who have heart problems, it is better to limit their consumption. The consumption of coca is a millenary practice and widely spread in the past. 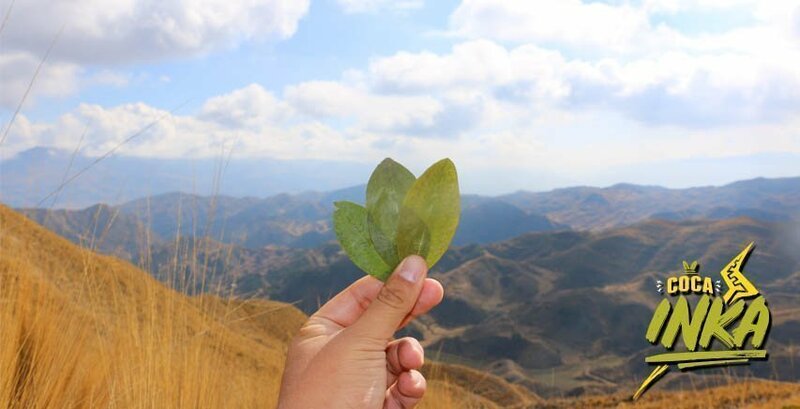 The used part of the coca is the leaf, which is dried to the environment. The direct consumption of the most widespread leaf is by cchaccheo or chewing coca, then in the form of coca tea or powder. For adults it is recommended to consume 8 coca leaves, in a cup of boiling water. In the powder presentation it is recommended to consume an average of 5 g per day, or 1 to 2 capsules, 3 times a day, after meals. Evaluation of the post-ingested glycemic response of the coca leaf (Erythroxylum coca) in people without pathological metabolic background. Authors: Clara Amparo Hurtado Sánchez, Doris Cartagena Triveño, Carlos Pedro Erostegui Revilla.